We fell in love on the internet. Well, maybe that’s a teensy bit of an overstatement. Still, it feels like one of those miracle relationships that is only made possible by the magic of the internet. We met online, we collaborated, we helped each other, we visited each other and met each other’s families. He recorded a lot of my music. This week, I was truly touched by his kindness. Jason Sifford, the brilliant composer and hilarious nonconformist of the piano pedagogy world dedicated a piece to me. 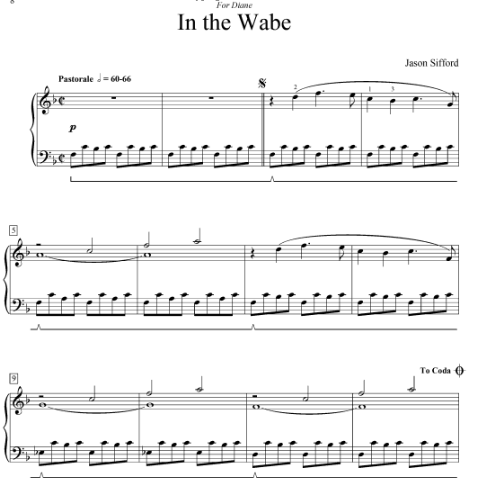 I present In the Wabe, one of a set of eight piano pieces called Beware the Jabberwock. These brilliant pieces inspired by the poem Jabberwocky by Lewis Carroll from Alice in Wonderland. Mine, as Jason so kindly pointed out, is in the key of Mashed Potatoes. Life doesn’t get any better. 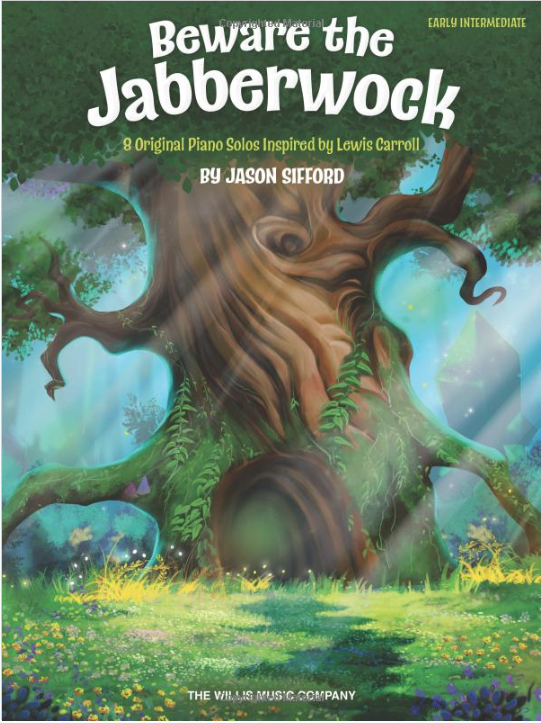 And buy lots of copies of Beware the Jabberwock so he’ll keep writing more fantastic music.